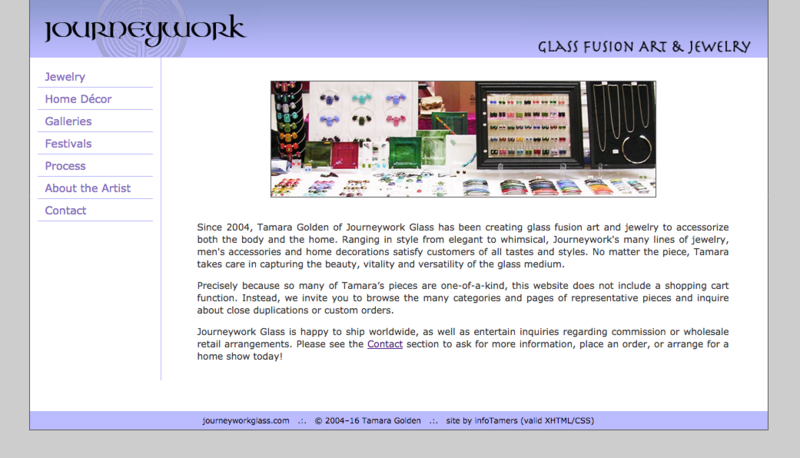 This redesigned site now features extensive photo galleries of the client’s beautiful fused glass pieces, in many categories each of Jewelry and of Home Décor, easily browsable and very crisply presented. The new site makes much more conscious use of space, with clearer navigation and a clean modern feel. We created some back-end scripts to automate the building of the gallery pages, and turned the site over to the client so she could maintain it herself.